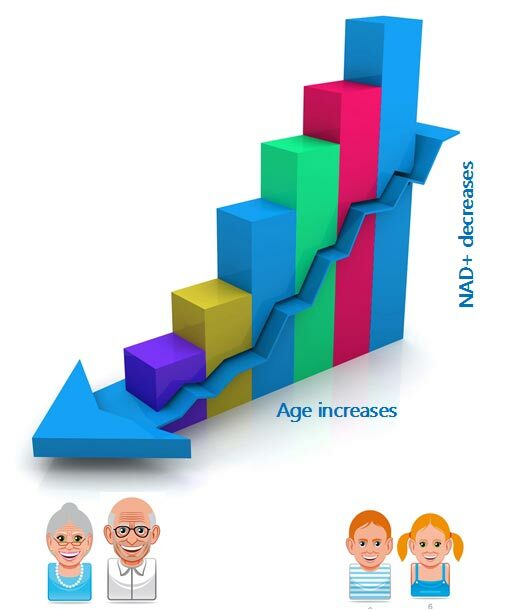 Nicotinamide Riboside and Vitamin B3 - a new answer to the aging problem? The other day, I was adding a new multi-vitamin to Vitamin Inspector, Two Per Day Capsules, from Life Extension, when I came across a relatively new and very interesting nutrient called nicotinamide riboside. It is important because it is metabolised well by humans into NAD+. The molecule NAD+ plays a significant role in keeping our cells healthy. It is the ability of substances to be converted to NAD+ (nicotinamide adenine dinucleotide) and NADP (nicotinamide adenine dinucleotide phosphate) that defines them as Vitamin B3, or in other words "gives them Vitamin B3 activity". To enable Vitamin Inspector to compare nictotinamide riboside to other nutrients it was necessary to re-evaluate the research and update Vitamin Inspector's knowledge of this extremely important vitamin. Most multi's use nicotinic acid and/or nicotinamide to provide Vitamin B3. Niagen® by Chromodex is a newer commercially available source of nicotinamide riboside that has been proven to increase NAD+ in humans. Human trials are not as extensive for nicotinamide riboside as they are for other forms of B3, therefore trials in mice are recorded below where no human data exists. Pellagra prevention Yes Yes ? Nicotinamide riboside is metabolized by more than one pathway and generates more NAD+ than the other forms of Vitamin B3. It does not appear to have the undesirable side effects of other B3s from trials in mice. So is nicotinamide riboside the elixir of youth? What is really exciting about nicotinamide riboside is: (1) it seems to be more efficient at producing NAD+ than the other types of vitamin B3 and (2) it does not appear to have the same dose limiting side effects. Studies on mice are very promising. Old mice given nicotinamide riboside experienced muscle regeneration and lived longer than mice that were not given it. Human trials have not yet verified its safety, so while it is tempting to take large doses, it would be wise to stick to the recommended amounts. The terms niacin and nicotinic acid are often used interchangeably. Vitamin Inspector classifies niacin as a generic name for compounds with Vitamin B3 activity.